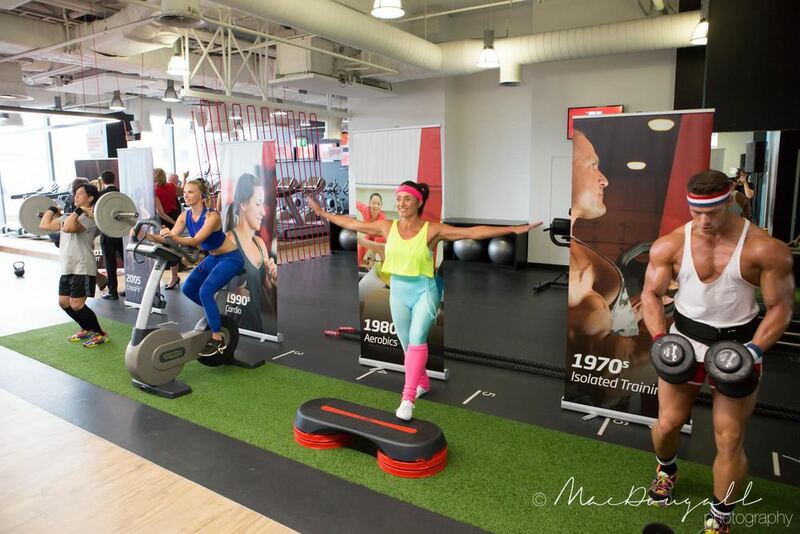 The Market Street Fitness First was the site of the Australian relaunch for the brand. Guests were led onto the 20 metre long red carpet viewing platform across from the Market Street building. 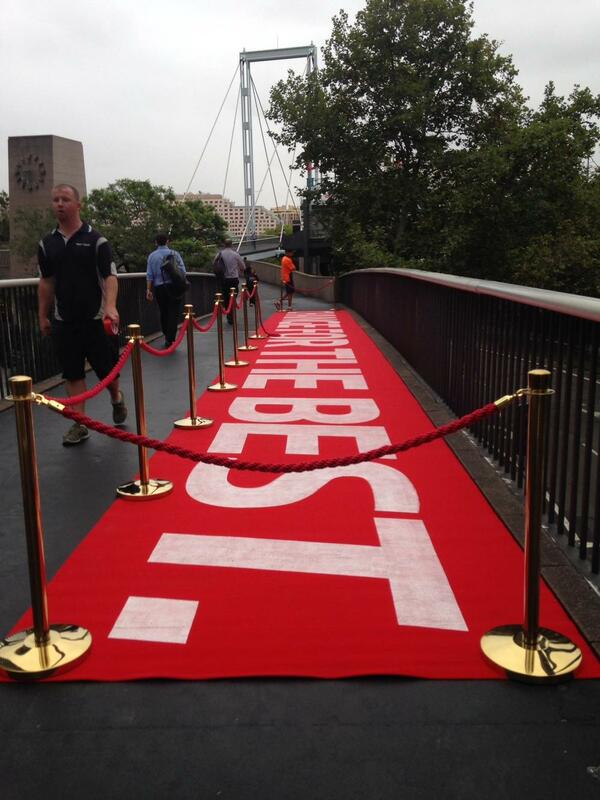 The windows were covered by a 45 square metre red banner highlighting the theme of the event “Change For The Best”. World renowned Legs On The Wall aerialists, dressed in the new Fitness First uniform posing as trainers, began a choreographed routine on the roof of the building to the amplified sounds of Radioactive by Imagine Dragons. When the music changed tempo, the aerialists scaled down the wall performing a variety of tricks before pulling the banner down to reveal the new ‘F’ logo to the delight of both the guests and the passersby. Guests were then lead inside the gym where a live “Fitness Through the Ages” installation featured trainers working out in clothes and equipment through the eras. Academy Award winner and fitness guru Jane Fonda flew in from Los Angeles as a special guest to launch the brand. She was joined by three-time Olympic Gold Medalist Libby Trickett. Custom designed inspirational quotes relating to transformation and change hung from the ceiling throughout the gym, leading the guests into the studio where the Managing Director Pete Manuel presented Fitness First’s new offerings to the crowd of media and reporters. The event was Highly Commended for Launch of the Year at the 2014 CommsCon Awards.